Norton, E. R. (2017). Specialists Speaking - 2017 Cotton Crop Progress. Cotton Farming Magazine . Norton, E. R. (2017). Specialists Speaking - Bloom Period Considerations. Cotton Farming Magazine . Norton, E. R. (2017). Specialists Speaking - Defoliation Tips and More. Cotton Farming Magazine . Norton, E. R. (2017). Specialists Speaking - Focus on 2018 Variety Selection. Cotton Farming Magazine . Norton, E. R. (2017). Specialists Speaking - Multiple Year/Location Data=Priceless. Cotton Farming Magazine . Norton, E. R. (2017). Specialists Speaking - Planting Considerations. Cotton Farming Magazine . Norton, E. R. (2017). Specialists Speaking - Pre-Harvest Decisions. Cotton Farming Magazine . Norton, E. R. (2017). Specialists Speaking - Preparing for Planting Season. Cotton Farming Magazine . Norton, E. R. (2016). Specialists Speaking - 2016 Cotton Crop Progress. Cotton Farming Magazine . Norton, E. R. (2016). Specialists Speaking - Cautiously Optimistic. Cotton Farming Magazine . Norton, E. R. (2016). Specialists Speaking - Early Season Insect Pressure. Cotton Farming Magazine . Norton, E. R. (2016). Specialists Speaking - Early Season Management. Cotton Farming Magazine . Norton, E. R. (2016). Specialists Speaking - Learn from 2016's Challenges. Cotton Farming Magazine . Norton, E. R. (2016). Specialists Speaking - Planting and Early Season Decisions. Cotton Farming Magazine . Norton, E. R. (2016). Specialists Speaking - Pre-plant decision making. Cotton Farming Magazine . Norton, E. R. (2016). Specialists Speaking - Variety Selection for 2016. Cotton Farming Magazine . Norton, E. R. (2015). Specialists Speaking - Crop Continues to Make Steady Progress. Cotton Farming Magazine . Norton, E. R. (2015). Specialists Speaking - Heading Towards the Finish Line. Cotton Farming Magazine . Norton, E. R. (2015). Specialists Speaking - June Always Critical for Young Cotton. Cotton Farming Magazine . Norton, E. R. (2015). Specialists Speaking - Late Cotton Needs to Play Catch Up. Cotton Farming Magazine . Norton, E. R. (2015). Specialists Speaking - New Season Brings Big Decisions. Cotton Farming Magazine . Norton, E. R. (2015). Specialists Speaking - Planters are Ready to Roll Again. Cotton Farming Magazine . Norton, E. R. (2015). Specialists Speaking - Producers Adapting to New Price Environment. Cotton Farming Magazine . Norton, E. R. (2015). Specialists Speaking - Winter Preparation Necessary for 2015. Cotton Farming Magazine . Norton, E. R. (2014). Specialists Speaking - After a Long Season It's Time to Harvest. Cotton Farming Magazine . Norton, E. R. (2014). Specialists Speaking - Big Decisions Await Cotton Growers. Cotton Farming Magazine . Norton, E. R. (2014). Specialists Speaking - Economic Incentive for Pima. Cotton Farming Magazine . Norton, E. R. (2014). Specialists Speaking - Late Crop Needs to Play Catchup. Cotton Farming Magazine . Norton, E. R. (2014). Specialists Speaking - Long Season Nears Midpoint. Cotton Farming Magazine . Norton, E. R. (2014). Specialists Speaking - Race Continues to Finish up Harvest. Cotton Farming Magazine . Norton, E. R. (2014). Specialists Speaking - Season Ends on a Positive Note. Cotton Farming Magazine . Main, C. L., Barber, L. T., Boman, R. K., Chapman, K., Dodds, D. M., Duncan, S., Edmisten, K. L., Horn, P., Jones, M. A., Morgan, G. D., Norton, E. R., Osborne, S., Whitaker, J. R., Nichols, R. L., & Bronson, K. F. (2013). Effects of Nitrogen and planting seed size on cotton growth, development, and yield. Agronomy Journal , 105(6), 1853-1859. Abstract: A standardized experiment was conducted during 2009 and 2010 at 20 location-years across U.S. cotton (Gossypium hirsutum L.)- producing states to compare the N use requirement of contemporary cotton cultivars based on their planting seed size. Treatments consisted of three cotton varieties with planting seed of different numbers of seed per kg and N rates of 0, 45, 90, and 134 kg ha-1. Soil at each trial location was sampled and tested for nitrate presence. High levels of soil nitrate (>91 N-NO3-kg ha-1) were found in Arizona and western Texas, and soil nitrate in the range of 45 to 73 kg N-NO3-ha-1 was found at locations in the central United States. Cotton lint yield responded to applied N at 11 of 20 locations. Considering only sites that responded to applied N, highest lint yields were achieved with 112 to 224 kg ha-1of applied plus pre-plant residual soil NO3-translating to an optimal N requirement of 23 kg ha-1 per 218 kg bale of lint produced. Among the varieties tested those with medium-sized seed produced higher yields in response to N than did larger and smaller seeded varieties. Varieties with larger seed had longer and stronger fibers, higher fiber length uniformity than small seeded varieties and decreased micronaire. Seed protein and oil increased and decreased slightly in response to increasing amounts of soil nitrate plus applied N, respectively. © 2013 by the American Society of Agronomy, 5585 Guilford Road, Madison, WI 53711. All rights reserved. Main, C. L., Barber, T., Boman, R. K., Chapman, K., Dodds, D. M., Duncan, S., Edmisten, K. L., Horn, P., Jones, M. A., Morgan, G. D., Norton, E. R., Osborne, S., Whitaker, J. R., & Nichols, R. L. (2013). Effects of Nitrogen and Planting Seed Size on Cotton Growth, Development, and Yield. Agronomy Journal , 105(6). Gutierrez, M., Norton, R., Thorp, K. R., & Wang, G. (2012). Association of spectral reflectance indices with plant growth and lint yield in upland cotton. Crop Science , 52(2), 849-857. Abstract: Canopy reflectance plays an increasingly important role in crop management and yield prediction at large scale. The relationship of four spectral reflectance indices with cotton (Gossypium hirsutum L.) biomass, leaf area index (LAI), and crop yield were investigated using three cotton varieties and five N rates in the irrigated low desert in Arizona during the 2009 and 2010 growing seasons. Biomass, LAI, and canopy reflectance indices (normalized difference vegetation index [NDVI], simple ratio [SR], near-infrared index [NIR], and ratio vegetation index [RVI]) were determined at different growth stages. The commonly used NDVI and the other three canopy reflectance indices explained over 87% variation in cotton biomass (all R 2 > 0.87) and LAI (R 2 > 0.93). Indices SR, NIR, and RVI all had higher coefficients of determination (R 2) compared to NDVI because these indices were not saturated at late growth stages. There was no significant relationship between lint yield and the spectral indices measured at early growth stages. However, the spectral indices determined at peak bloom showed significant correlations with lint yield. Indices SR, NIR, and RVI explained 56, 60, and 58% of variations in cotton lint yield, respectively, while NDVI only explained 47% of variation in lint yield. This study suggests canopy reflectance indices can be used to predict cotton lint yield at peak bloom and the accuracy of yield prediction can be significantly improved when SR, NIR, and RVI are used. © Crop Science Society of America. Silvertooth, J., Bronson, K., Norton, E., & Mikkelsen, R. (2011). Nitrogen Utilization by Western U.S. Cotton (North America). Better Crops with Plant Food , 2, 21. Dodds, D. M., Banks, J. C., Barber, L. T., Boman, R. K., Brown, S. M., Edmisten, K. L., Faircloth, J. C., Jones, M. A., Lemon, R. G., Main, C. L., Monks, C. D., Norton, E. R., Stewart, A. M., & Nichols, R. L. (2010). Agronomy and Soils: Beltwide evaluation of commercially available plant growth regulators. Journal of Cotton Science , 14(3), 119-130. Abstract: Plant growth regulator (PGR) use has become common in cotton (Gossypium hirsutum L.) production over the past 30 years. Plant growth regulators are widely used to manage plant height and suppress vegetative growth in cotton. However, the commercial introduction of new PGRs has prompted questions regarding comparative product performance in regard to height reduction, yield, and fiber quality. The objective of this study was to compare the effect of several commercially available PGRs on cotton growth, development, yield, and fiber quality. Field research was conducted in 2007 and 2008 at 22 locations representing 12 states. Products evaluated included mepiquat chloride, mepiquat chloride plus kinetin, mepiquat chloride plus cyclanilide, and mepiquat pentaborate. A non-ionic surfactant was included with all PGR applications, as well as alone, for comparison purposes. A non-treated check was also included. Application of all PGRs reduced end of season plant height. Plant height reductions varied depending on location. The total number of mainstem nodes was reduced due to PGR application in the Southwestern and Southeastern United States; however, no differences in lint yield, micronaire, or uniformity were observed due to PGR application in any region. Minor differences were present in nodes above cracked boll, fiber length, and fiber strength. No single product provided superior performance in regard to growth regulation, yield, or fiber quality. © The Cotton Foundation 2010. Byrd, S. A., Raper, T. B., Dodds, D. M., Jones, A. S., Morgan, G. D., & Norton, E. R. (2017, January). Nozzle Type and Carrier Volume Influence on Defoliation. In 2017 Beltwide Cotton Conferences , 124-125. Faske, T., Allen, T. W., Lawrence, G. W., Lawrence, K. S., Mehl, H. L., Norton, E. R., Overstreet, C., & Wheeler, T. A. (2017, January). Beltwide Nematode Research and Education Committee Report on Cotton Cultivars and Nematicides Responses in Nematode Soils, 2016. In 2017 Beltwide Cotton Conferences , 270-273. Lawrence, K., Norton, E. R., Hagan, A., Faske, T., Hutmacher, R., Muller, J., Wright, D., Small, I., Kemerait, B., Overstreet, C., Price, P., Lawrence, G., Allen, T., Atwell, S., Jones, A., Thomas, S., Goldberg, N., Boman, R., Goodson, J., , Kelly, H., et al. (2017, January). Cotton Disease Loss Estimate Committee Report, 2016. In 2017 Beltwide Cotton Conferences , 150-152. Morgan, G., Frame, H., Dodds, D., Jones, A., Jones, M., Norton, E. R., Lewis, K., Robertson, B., Raper, T., & Nichols, B. (2017, January). Multi-Year Cotton Yield, Quality, and Plant Growth Response to Soil-Applied Potassium. In 2017 Beltwide Cotton Conferences , 6-7. Collins, G., Norton, E. R., Boman, R., Dodds, D., Duncan, S., Edmisten, K., Frame, H., Fromme, D., Jones, A., Jones, M., Kelly, M., Logan, D., Morgan, G., Nichols, R., Osborne, S., Robertson, B., Snider, J., Whitaker, J., & Wright, D. (2015, January). 2014 ON-FARM EVALUATION OF COTTON VARIETY PERFORMANCE. In 2015 Beltwide Cotton Conference , 433-434. Collins, G., Norton, E. R., Boman, R., Burmester, C., Dodds, D., Drake, D., Edmisten, K., Frame, H., Friesen, R., Fromme, D., Jones, M., Kelley, M., McClelland, B., Monks, D., Morgan, G., Myers, G., Phillips, A., Whitaker, J., Wright, D., , Nichols, R., et al. (2014, January). 2013 ONFARM ASSESSMENT OF COTTON VARIETY PERFORMANCE. In National Cotton Council Beltwide Cotton Conference , 49-50. Norton, E. R., Olsen, M. W., & Mostafa, A. M. (2014, January). EFFICACY OF FLUTRIAFOL FUNGICIDE FOR CONTROL OF COTTON ROOT ROT IN ARIZONA IN 2012 AND 2013 FIELD TRIALS. In National Cotton Council Beltwide Cotton Conference , 237-244. Olsen, M. W., Norton, E. R., & Mostafa, A. M. (2014, January). GROWTH OF PHYMATOTRICHOPSIS OMNIVORA IN FLUTRIAFOL TREATED FIELD SOILS. In National Cotton Council Beltwide Cotton Conference , 212-215. Norton, E., Hatch, T., McClure, M., & Sanchez, P. (2011, January). Precision Control of Nematodes in Arizona Cropping Systems. In 2011 Beltwide Cotton Conferences . Norton, E. R. (2017, February). Cotton Variety Performance and Selection and Cotton Fertility Management . Central Arizona Crops Clinic. Buckeye, AZ: The University of Arizona Cooperative Extension. Norton, E. R. (2017, February). Cotton Variety Performance and Selection and Cotton Fertility Management . Central Arizona Crops Clinic. Casa Grande, AZ: The University of Arizona Cooperative Extension. Norton, E. R. (2017, February). Cotton Variety Performance and Selection and Cotton Fertility Management . Central Arizona Crops Clinic. Marana, AZ: The University of Arizona Cooperative Extension. Norton, E. R. (2017, February). Southeast Arizona Ag Day Research Review . Southeast Arizona Ag Day. Willcox, AZ: Southeast Arizona Ag Day Committee. Norton, E. R. (2017, February). Upland Cotton Variety Testing and Flutriafol Evaluations . Southwest Ag Summit. Yuma, AZ: Southwest Ag Summit. Norton, E. R. (2017, January). Botany and Plant Physiology . Graham County Gardening and Landscaping Class. Eastern Arizona College: The University of Arizona Cooperative Extension. Norton, E. R. (2017, January). Diagnosing Plant Problems . Graham County Gardening and Landscaping Class. Eastern Arizona College: The University of Arizona Cooperative Extension. Norton, E. R. (2017, January). Soil Fertility and Crop Nutrient Management for Desert Irrigated Cotton . New Mexico Cotton Growers Annual Meeting. Ruidoso, NM: New Mexico Cotton Growers Association. Norton, E. R. (2017, January). 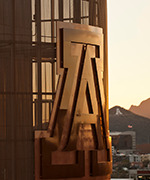 The University of Arizona College of Agriculture and Life Sciences Update . Arizona Crop Improvement Annual Membership Meeting. Sedona, AZ: Arizona Crop Improvement Association. Norton, E. R. (2017, June). Management of Desert Cotton Production Systems . Annual Meeting of the Arizona Cotton Growers and Ginners Associations. Flagstaff, AZ: ACGA/AGA. Norton, E. R. (2017, March). Southeast Arizona Research Review . Graham County Farm, Home, and Ranch Day. Safford, AZ: The Univerisity of Arizona. Norton, E. R. (2017, May). Effective Management of Phymatotrichopsis Omnivora (CRR) In AZ Cotton Production Systems . LaPaz County Cotton Meeting. Parker, AZ: The University of Arizona Cooperative Extension. Norton, E. R. (2017, October). 2017 MAC Cotton Field Day - Variety Performance Discussion . University of Arizona Cooperative Extension. Maricopa Agricultural Center: University of Arizona Cooperative Extension. Norton, E. R. (2017, October). Southeast Arizona Research Review - Cotton Variety Performance . Safford Ag Center Fall Field Day. Safford Ag Center: The University of Arizona. Norton, E. R. (2017, September). Biotechnology and Genetically Modified Organisms (GMOs) . Eastern Arizona College One Book One Campus Program. Thatcher, AZ: Eastern Arizona College. Norton, E. R. (2016, February). Soil Salinization- Causes and Remedies: An Arizona Perspective . Texas/Oklahoma/Louisiana Cotton Physiology Meeting. Altus, OK: Oklahoma State University Cooperative Extension. Norton, E. R. (2016, February). Southeast Arizona Ag Day Research Review . Southeast Arizona Ag Day. Willcox, AZ: Southeast Arizona Ag Day Committee. Norton, E. R. (2016, January). Botany and Plant Physiology . Graham County Gardening and Landscaping Class. Eastern Arizona College: The University of Arizona Cooperative Extension. Norton, E. R. (2016, January). Diagnosing Plant Problems . Graham County Gardening and Landscaping Class. Eastern Arizona College: The University of Arizona Cooperative Extension. Norton, E. R. (2016, June). Developing Prescription Maps for Precision Control . New Technologies Conference. Maricopa, AZ: The University of Arizona. Norton, E. R. (2016, March). Southeast Arizona Research Review . Graham County Farm, Home, and Ranch Day. Safford, AZ: The Univerisity of Arizona. Norton, E. R. (2016, May). Precision Control of Cotton Root Rot in Arizona Cotton Production Systems . Desert Ag Conference. Mesa, AZ: Desert Ag Conference Committee. Norton, E. R. (2016, November). Arizona Cotton – A Brief History and Future Innovations . Marana Vintage Gardeners Club. Tucson, AZ: Marana Vintage Gardeners Club. Norton, E. R. (2016, October). 2016 MAC Cotton Field Day . University of Arizona Cooperative Extension. Maricopa Agricultural Center: University of Arizona Cooperative Extension. Norton, E. R. (2016, October). Southeast Arizona Research Review . Safford Ag Center Fall Field Day. Safford Ag Center: The University of Arizona. Norton, E. R. (2016, September). Utilizing Prescription Maps for Precision Control of Cotton Pests . USDA-NRCS UAS Workshop. Safford, AZ: USDA-NRCS, UA Cooperative Extension. Norton, E. R., & Olsen, M. W. (2016, January). Report of Seedling Disease and Nematode Committee Research Results . 2016 Beltwide Cotton Conferences. New Orleans, TX: National Cotton Conference and Bayer CropSciences. Norton, E. R. (2015, February). Soil Salinization- Causes and Remedies: An Arizona Perspective . Texas/Oklahoma/Louisiana Cotton Physiology Meeting. Austin, TX: Texas A&M Cooperative Extension. Norton, E. R. (2015, February). Southeast Arizona Ag Day Research Review . Southeast Arizona Ag Day. Willcox, AZ: Southeast Arizona Ag Day Committee. Norton, E. R. (2015, February). Western Cotton Production Systems – Challenges and Opportunities . Bayer CropScience Extension Cotton Specialists Annual Seminar. Meadows of Dan, VA: Bayer CropScience. Norton, E. R. (2015, June). Precision Application of Fungicide for Control of Cotton Root Rot Control in Arizona Cotton Production Systems . New Technologies Conference. Maricopa, AZ: The University of Arizona. Norton, E. R. (2015, June). Transgenics and Seed Technology – Present and Future . Annual Meeting of the Arizona Cotton Growers and Ginners Associations. Flagstaff, AZ: ACGA/AGA. Norton, E. R. (2015, March). Southeast Arizona Research Review . Graham County Farm, Home, and Ranch Day. Safford, AZ: The Univerisity of Arizona. Norton, E. R. (2015, May). Precision Pest Control Research Review (Nematodes and Cotton Root Rot) . Desert Ag Conference. Mesa, AZ: Desert Ag Conference Committee. Norton, E. R. (2015, October 28). 2015 MAC Cotton Field Day . University of Arizona Cooperative Extension. Maricopa Agricultural Center: University of Arizona Cooperative Extension. Norton, E. R. (2015, October). Southeast Arizona Research Review . Safford Ag Center Fall Field Day. Safford Ag Center: The University of Arizona. Norton, E. R., & Olsen, M. W. (2015, January). Report of Seedling Disease and Nematode Committee Research Results . 2015 Beltwide Cotton Conferences. San Antonio, TX: National Cotton Conference and Bayer CropSciences. Mostafa, A. M., Ellsworth, P. C., Norton, E. R., Brown, L. M., Mostafa, A. M., Ellsworth, P. C., Norton, E. R., & Brown, L. M. (2014, October 28). 2014 MAC Cotton Field Day . University of Arizona Cooperative Extension. Maricopa Agricultural Center. Mostafa, A. M., Norton, E. R., & Olsen, M. (2014, March 3). Updates on Pest Management Trials in Alfalfa Corn and Cotton . University of Arizona Cooperative Extension. Norton, E. R. (2014, April). Basic Botany and Plant Physiology . Graham County Master Gardeners. Safford, AZ: The University of Arizona. Norton, E. R. (2014, February). Southeast Arizona Ag Day Research Review . Southeast Arizona Ag Day. Willcox, AZ: Southeast Arizona Ag Day Committee. Norton, E. R. (2014, January). American Agriculture - Challenges and Opportunities . Lion's Club Meeting. Safford, AZ: Lion's Club. Norton, E. R. (2014, January). Telone II and EC Research Review - Arizona . Dow Telone Researchers Review Meeting. New Orleans, LA: Dow AgroSciences. Norton, E. R. (2014, July). University of Arizona Update . Summer Board Meeting for Arizona Crop Improvement Association. Flagstaff, AZ: Arizona Crop Improvement Association. Norton, E. R. (2014, March). Southeast Arizona Research Review . Graham County Farm, Home, and Ranch Day. Safford, AZ: The Univerisity of Arizona. Norton, E. R. (2014, May). Telone II and EC Research Review . Desert Ag Conference. Mesa, AZ: Desert Ag Conference Committee. Norton, E. R. (2014, October). Pima Cotton Production Techniques . Central Arizona Pima Cotton Field Day. Maricopa Ag Center: The University of Arizona. Norton, E. R. (2014, October). Research Review in Central Arizona . Maricopa Ag Center Fall Field Day. Maricopa Ag Center: The University of Arizona. Norton, E. R. (2014, October). Southeast Arizona Research Review . Safford Ag Center Fall Field Day. Safford Ag Center: The University of Arizona. Norton, E. R., Mostafa, A. M., & Loper, S. J. (2014, March). Cotton Variety Performance in Arizona . Early Season Cotton Meetings. Buckeye, AZ: The University of Arizona. Norton, E. R., Mostafa, A. M., & Loper, S. J. (2014, March). Cotton Variety Performance . Early Season Cotton Workshop. Casa Grande, AZ: The University of Arizona. Norton, E. R., Mostafa, A. M., & Loper, S. J. (2014, March). Cotton Variety Performnance in Arizona . Early Seson Cotton Meeting. Marana, AZ: The University of Arizona. Norton, E. R., Olsen, M. W., & Mostafa, A. M. (2014, July). Flutriafol Evaluation in Arizona Cotton . Mid-Season Cotton Meeting. Yuma, AZ: The University of Arizona. Norton, E. R., Olsen, M. W., & Mostafa, A. M. (2014, July). Flutriafol Evaluations in Arizona Cotton . Mid-Season Cotton Meeting. Parker, AZ: The University of Arizona. Whitaker, J., Norton, E. R., Nichols, R., Barber, T., Dodds, D., Hutmacher, R., Jones, M., Kruse, J., Main, C., Wang, S., & Wright, D. (2014, January). EFFECT OF VARIETY, IRRIGATION, AND PLANT GROWTH REGULATOR USE ON COTTON PERFORMANCE . Beltwide Cotton Conference. New Orleans, LA: National Cotton Council. Norton, E. R. (2013, February). Southeastern Arizona Research Review . Farm, Home, and Ranch Day. Safford, AZ: The University of Arizona. Norton, E. R. (2013, February). Southeastern Arizona Research Review . Southeast Arizona Ag Day. Willcox, AZ: The University of Arizona. Norton, E. R. (2013, February). Upland Cotton Variety Testing Program - Results and Implications . Grower Meeting. Casa Grande, AZ: The University of Arizona. Norton, E. R. (2013, February). Upland Cotton Variety Testing Program - Results and Implications . Grower Meeting. Marana, AZ: The University of Arizona. Norton, E. R. (2013, January). Upland Cotton Variety Testing Program - Results and Implications . Grower Meeting. Parker, AZ: The University of Arizona. Norton, E. R. (2013, January). Upland Cotton Variety Testing Program - Results and Implications . Grower Meeting. Yuma, AZ: The University of Arizona. Norton, E. R. (2013, January). Wells Fargo Agricultural Tour - Featured Speaker . Wells Fargo Agricultural Tour. Casa Grande, Willcox, and Yuma, Arizona: Wells Fargo. Norton, E. R. (2013, May). Review of Cotton PLant Growth and Development . Desert Ag Conference. Casa Grande, AZ: Desert Ag Conference. Norton, E. R. (2013, November). Upland Cotton Variety Testing Program . Grower Field Day. Goodyear, AZ: The University of Arizona. Norton, E. R. (2013, October). Variety Performance Review . Safford Fall Field Day. Safford, AZ: The University of Arizona. Norton, E. R. (2012). Arizona Cotton Crop and Pest Management Update . annual Desert Ag Conference. Casa Grande, AZ. Norton, E. R. (2012). Botany and Plant Physiology Review . Graham County Master Gardner Class. Safford, AZ. Norton, E. R. (2012). Diagnosing Plant Problems . Graham County Master Gardner Class. Safford, AZ. Norton, E. R. (2012). Hosted the Gila Valley Leadership Conference at the Safford Ag Center . Gila Valley Leadership Conference. Safford, AZ. Norton, E. R. (2012). Late Season Cotton Management . late season cotton meeting. Buckeye, AZ. Norton, E. R. (2012). Late Season Cotton Management . late season cotton meeting. Casa Grande, AZ. Norton, E. R. (2012). Late Season Cotton Management . late season cotton meeting. Marana, AZ. Norton, E. R. (2012). Presentation on grain corn production research conducted in SE Arizona . Fall Corn Production Field Day. Willcox, AZ. Norton, E. R. (2012). Presented research results from 2011 and request for funding in 2012 . Arizona Cotton Growers State Support Committee. Phoenix, AZ. Norton, E. R. (2012). Presented research results on grain corn from SE Arizona . Winter Corn Production Update Meeting. Willcox, AZ. Norton, E. R. (2012). Review of Dry Bean Research Efforts in Arizona . Arizona Dry Bean Grower Meeting. Maricopa, AZ. Norton, E. R. (2012). Review of Research in Southeastern Arizona . Southeastern Arizona Ag Day. Willcox, AZ. Norton, E. R. (2012). Review of Research in Southeastern Arizona . Southeastern Arizona Farm, Home, and Ranch Show. Safford, AZ. Norton, E. R. (2012). Review of Site-Specific Nematode Management . NCERA annual Meeting. Maricopa, AZ. Norton, E. R. (2012). Update on Arizona Statewide Cotton Variety Testing . Buckeye pre-season cotton meeting. Buckeye, AZ. Norton, E. R. (2012). Update on Arizona Statewide Cotton Variety Testing . Eloy pre-season cotton meeting. Eloy, AZ. Norton, E. R. (2012). Update on Arizona Statewide Cotton Variety Testing . Marana pre-season cotton meeting. Marana, AZ. Norton, E. R. (2012). Update on Arizona Statewide Cotton Variety Testing . Queen Creek pre-season cotton meeting. Queen Creek, AZ. Norton, E. R. (2012). Update on Nematode Management in Cotton . Maricopa County Extension Tent Talk. Buckeye, AZ. Norton, E. R. (2012). Update on Nematode Management in Cotton . Maricopa County Extension Tent Talk. Queen Creek, AZ. Norton, E. R. (2012, December). Review of Cotton Seedling Disease and Nematode Research in Arizona . National Cotton Council Cotton Seedling and Nematode Disease Committee Meeting. Memphis, TN. Norton, E. R. (2012, November). Cotton Production in the Upper Gila Valley . Safford, AZ. Norton, E. R. (2012, October). Cotton Production in the Upper Gila Valley . Safford, AZ. Norton, E. R. (2011). Agriculture in the West - Field Crops Update . Independent Community Bankers Association Annual Meeting. Ruidoso, NM: Independent Community Bankers Association. Norton, E. R. (2011). Hosted the Gila Valley Leadership Conference at the Safford Ag Center . Gila Valley Leadership Conference. Safford, AZ. Norton, E. R. (2011). Presentation on grain corn production research conducted in SE Arizona . Fall Corn Production Field Day. Willcox, AZ. Norton, E. R. (2011). Presentation on techniques for successful home gardening in the desert to a women's church group . Home Gardening in the Desert. Thatcher, AZ. Norton, E. R. (2011). Presented information on cotton variety selection at annual field day . Maricopa Ag Center Field Day. Maricopa, AZ. Norton, E. R. (2011). Presented research results from 2011 and request for funding in 2012 . Arizona Cotton Growers State Support Committee. Phoenix, AZ. Norton, E. R. (2011). Presented research results from activities across southeastern Arizona at the Southeastern Arizona Ag Day . Southeastern Arizona Ag Day. Willcox, AZ. Norton, E. R. (2011). Presented research results from activities across southeastern Arizona . Southeastern Arizona Farm, Home, and Ranch Show. Safford, AZ. Norton, E. R. (2011). Presented research results on grain corn from SE Arizona . Winter Corn Production Update Meeting. Willcox, AZ. Norton, E. R. (2011). Presented topic of biotechnology to Cochise County Master Gardeners . Cochise County Master Gardener Meeting. Sierra Vista, AZ. Norton, E. R. (2011). Presented updated soil fumigation regulations at the Southwest Ag Summit . Southwest Ag Summit. Yuma, AZ. Norton, E. R. (2011). Update on Arizona Cotton Research . Desert Ag Conference. Casa Grande, AZ. Norton, E. R. (2011, April). New EPA required soil fumigation guidelines . Soil Fumigation Workshops. Phoenix, AZ. Norton, E. R. (2011, February). New EPA required soil fumigation guidelines . Soil Fumigation Workshops. Buckeye, AZ. Norton, E. R. (2011, February). New EPA required soil fumigation guidelines . Soil Fumigation Workshops. Maricopa, AZ. Norton, E. R. (2011, February). New EPA required soil fumigation guidelines . Soil Fumigation Workshops. WIllcox, AZ. Norton, E. R. (2011, February). New EPA required soil fumigation guidelines . Soil Fumigation Workshops. Yuma, AZ. Norton, E. R. (2011, January). Precision Control of Nematodes in Arizona Cotton Production Systems . Beltwide Cotton Conferences. Atlanta, GA.
Norton, E. R. (2011, July). Monitoring Cotton Growth and Development . Safford, AZ. Norton, E. R. (2011, July). Monitoring Cotton Growth and Development . Willcox, AZ. Norton, E. R., & Norton, E. R. (2011). Presented techniques for proper dutch oven cooking to community group . Dutch Oven Cooking Demonstration. Thatcher, AZ. Norton, E. R., Olsen, M. W., & Mostafa, A. M. (2014, January). EFFICACY OF FLUTRIAFOL FUNGICIDE FOR CONTROL OF COTTON ROOT ROT IN ARIZONA IN 2012 AND 2013 FIELD TRIALS . National Cotton Council Beltwide Cotton Conference. New Orleans, LA: National Cotton Council. Norton, E. R. (2011, October). Review of Precision Nematode Control Research in Arizona Cropping Systems . Not Provided in APROL. San Antonio, TX. Norton, E. R. (2011, September). Crop Season Inches Closer To Finish Line. Cotton Farming. Norton, E. R. (2010, Fall). Update on Nematode Management in Cotton. Maricopa County Extension Tent Talk.